My first foreign trip out of the country was to Italy, and ever since then, it holds such a special place in my heart. 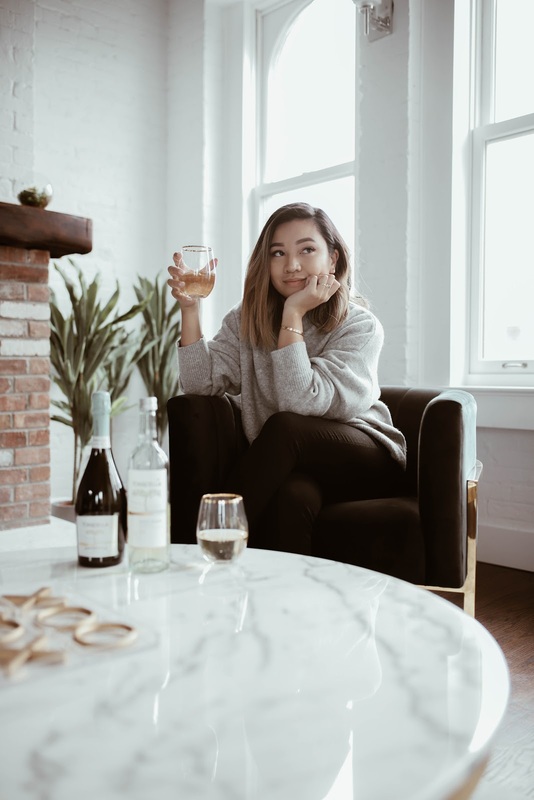 I love that a great bottle of wine, with one of my personal favorites being a Pinot Grigio that has just the right amount of sweetness, can have so many great memories attached to it. With the holidays so close, I’m so excited to create more memories before this year comes to an end. 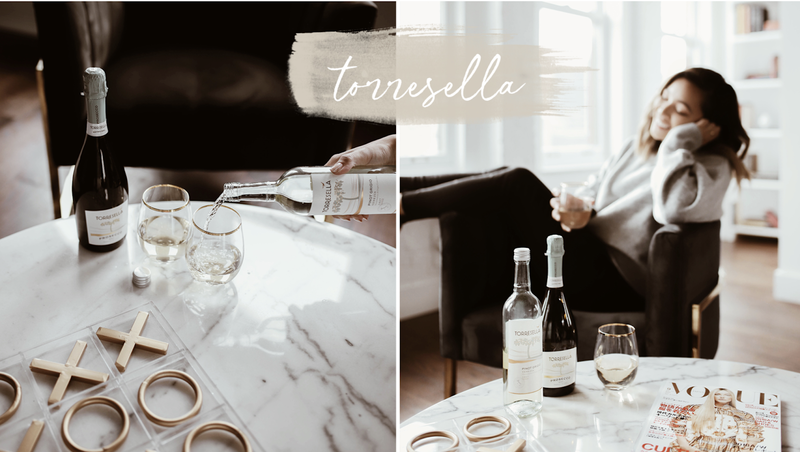 I may not be in Italy, but Torresella can easily make me feel like I'm there; memories of the vineyards during the harvest, the music, the food, the kindness of the people I met while I was there, the waters of the Amalfi coast, etc. 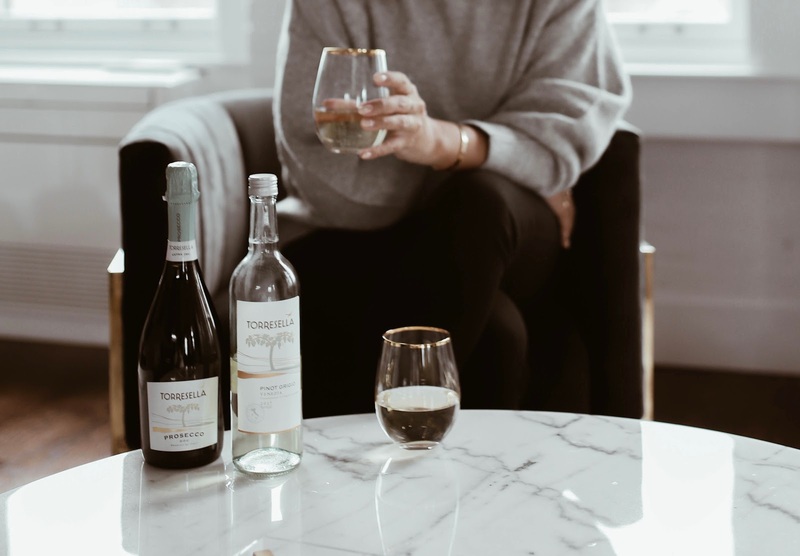 I think all those fond memories are incredible when I enjoy my glass of Torresella Wine, because they have that true Italian Heritage that I love so much. 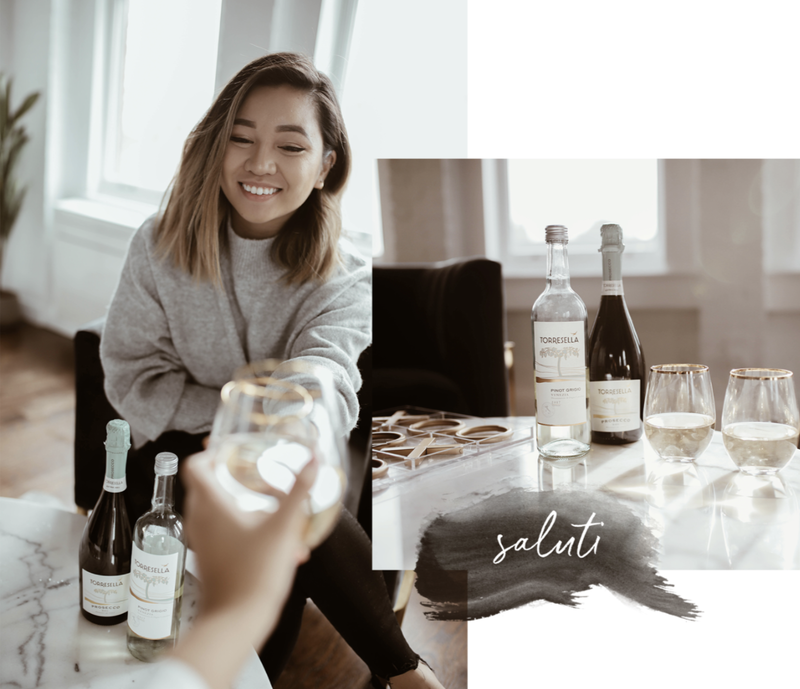 A few pours with a great group of friends and with my family, it’ll be the perfect addition to any dinner or holiday party. Saluti. I love fall for many reasons, the footwear being one of them. Even when you're dressing casually, the right boot can make an outfit just work. And as someone who really just doesn't like to wear heels or struggles in stilettos, boots are my go-to footwear. I've got a couple on rotation so check out my favorite picks down below! 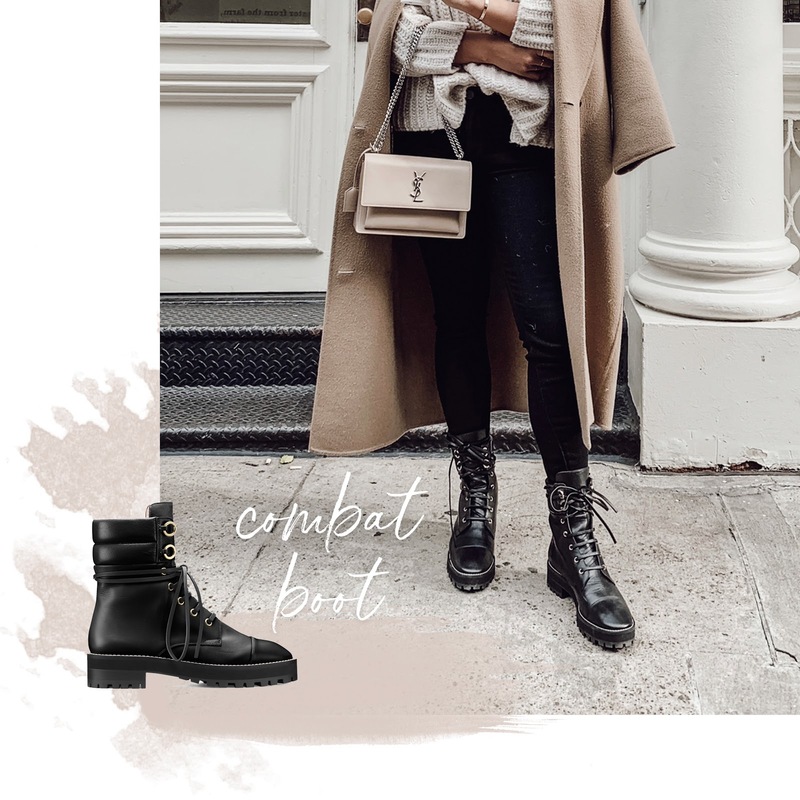 You'll also notice in this post that a lot of my favorite boots are Stuart Weitzman because I've found that the quality for the price is amazing and I've had several pairs last over a few seasons already. But don't worry, I've linked budget friendly options as well! These boots were an impulse buy and they're literally my current favorites in my closet. They took a few wears to break in, but now they're so comfortable and easy to be in for my long days that I'm walking around the city. I love how a chunky combat boot also gives me a bit of balance. Having bigger legs, it's easy for me to look disproportionate if I wear the wrong shoes. I'm so glad I got these because they make a simple sweater and leggings outfit look so casual and edgy too. I've linked a couple of options including the pair I'm wearing down below! The one's I'm styling are the Stuart Weitzman "Lexy" boots. They're perfect with skinny jeans or leggings and a cozy oversized sweater. That's my go-to vibe for Fall. If you're eyeing the same pair I have, do go with your regular size! They will take about 2-3 days of full wear for the leather to soften to your feet so be prepared to wear them with comfy socks and maybe pack some bandaids for the first 2 wears at least. But just as a general rule, always wear comfy socks and pack bandaids with ANY shoe that you are wearing for the first time. A must have in any closet. I can't even begin to tell you how many pointed booties I've been through. They're just the perfect shoes to slip on with leggings and a sweater, a mini dress paired with a leather jacket, etc. My favorites this season are from & Other Stories and Marc Fisher. The MF booties have a slightly higher heel but they're just the right height. My only issue with them is that the tip of the bootie wears so easily. I'll just have to life hack it and paint a little nail polish over the wear. I have yet to find the right "investment" pair for the pointed ankle chelsea boot. I had a pair of the Acne Studios Jensen booties but the sizing was off for me and I ended up selling them because they were too small. Maybe it was my mistake for believing that whole "oh, they'll stretch." lie that sales associates will sometimes spit out. If I give them another go, they're definitely going to have to be a size up. If you have any recommendations, let me know! These are a show stopper. I absolutely love this style, the print, the look of them, but these babies are steep and are not for those that aren't used to having their foot at such a high slope. They're definitely incredibly beautiful but you may want to opt for a lower heel if you want a pair you can walk around all day in. I would categorize these as "event" shoes for me, ones that I would reach for if I wanted to dress to impress but still hope that I'll be sitting majority of the time. Check out some booties down below! Didn't know I'd love the snakeskin (faux) trend until I put these on! This pair is from Raye The Label from Revolve. With an all black look, it's everything. When I feel like I need to "elevate" my look a little bit, literally, I slip on a higher heeled boot. Thanks to Stuart Weitzman, they sent over this pair that's a bit of a hybrid between a combat boot and sock bootie. Since I do have my fair share of lower heeled boots, it was great to add a pair to my collection that's a bit different. I loved styling these with my oversized sweaters and felt that the height was perfect enough to walk around without too much of a struggle. Boots with a platform definitely help in the comfort department. 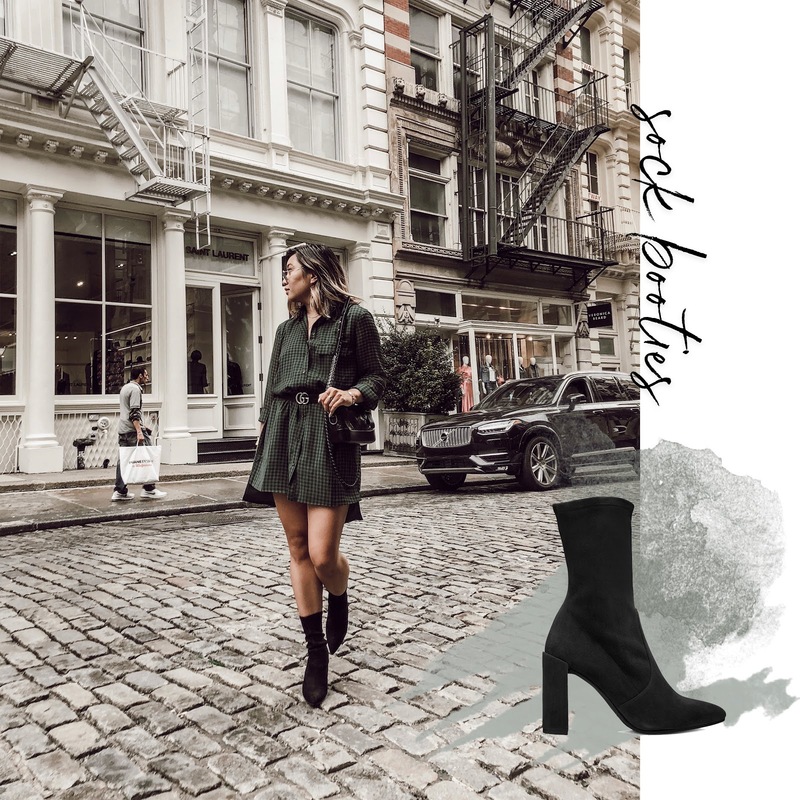 Sock booties are great for comfort and can be styled in so many different ways. I just love how easily you can slip them on and style it with a mini dress, jeans, skirts, etc. The pair that I'm wearing is the Clinger from Stuart Weitzman and I fell in love with them last year. You may have noticed that if I'm doing a heel, it needs to be a block heel or I'm not getting them. My stiletto heel days are over and honestly, I don't think I just have the right balance for it. Check out some great sock booties down below. You really can't go wrong with having a pair of over the knee boots. Two of my go-to OTK boots are from Stuart Weitzman and Schutz. I love styling them with skirts and sweaters, just showing enough skin while still keeping your legs warm for the season. It is common that the boots fall a bit when you walk in them. It just sort of comes with the territory. I haven't had an OTK boot not fall a little the more that I move. I hope you guys enjoyed this shopping guide post! Let me know if you found this helpful and what other shopping guides you would be interested in seeing. Do you like having lots of options or would you rather me narrow them down a bit more? Leave your comments below and hopefully you've been able to find a pair your excited to wear this season!